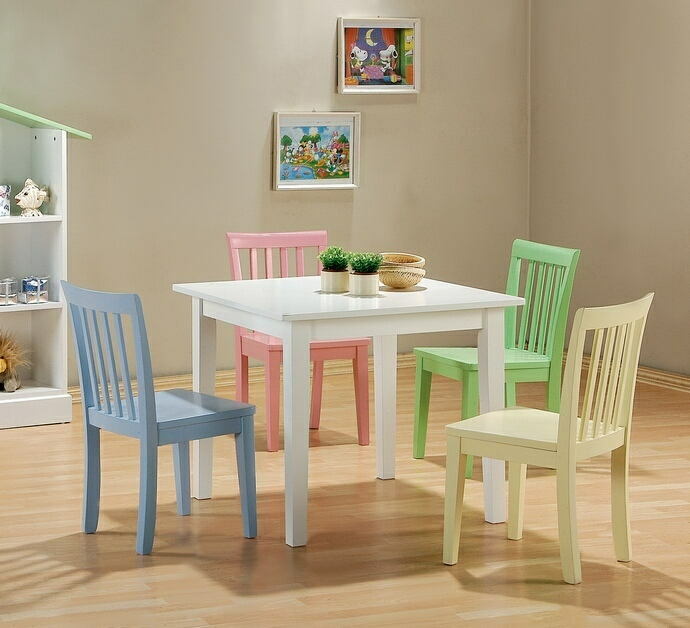 5 pc kids play table set with multi color chairs and white finish wood table, Table measures 30" x 30" x 25.5" H, and chairs measure 17" x 15 1/2"D x 28 1/2" H. Some assembly required. I purchased 3 of these table sets for my at home daycare room. 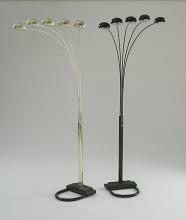 Kids ages 2-6 can be quite ruthless on pretty much all furniture, but these are holding up just fine! They are sturdy and easy to put together. I really like the price, it was right in my budget!